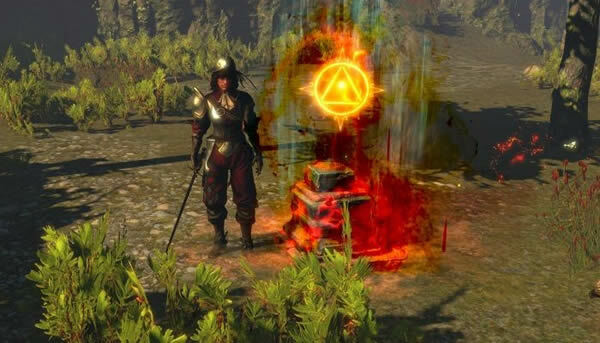 In Path of Exile, the Incursion league is the upcoming challenge leagues. It will launch on June 1, 2018. Making sure that you have enough poe exalted orb is a good decision. "While it is technically league in terms of the fact that players have to make new characters to play in it, it has all the things you want in an expansion: new voice acted character, locations, monsters, items, skills, and so on." Incursion is difficult to label as a league or an expansion. It's basically both. He explained. Amusingly, Wilson noted that although the mandate to the team was to work on fixing existing skills (which they did do a couple of dozen), 11 more have actually been added in this release. There are six new Vaal skills and five new traps. In the midst of going back to old skills and making them better, devs thought of new skills to introduce that could really help the older ones. "So we ended up with our don't-have-new-skills expansion having more new skills than any other expansion has for a long time," Wilson chuckled. Which, he added, "is good for the game." The fact that those trap and Vaal skills were some of the easiest to create helped that to happen. That, however, does not diminish the number of new build opportunities with this release. Perhaps the two biggest changes to existing skills is actually tied into some of the new ones; Vaal skills and traps are getting some significant attention. Currently, players only get to use a Vaal skill when it is fully charged with souls. With this new leaguespansion, however, when players equip a Vaal skill they will get both the Vaal and a normal version to add to their arsenal. That means players don't have to wait to use the skill; instead, they can utilize the normal version (which is attached to all the same support gems) and then pop the more powerful Vaal when it is fully charged. As for traps, they are switching to aggressive bombs that can be tossed out instead of things players have to preset. Wilson stated that the trapper build can now be recommended as a starting one. Other mechanical changes have happened to existing skills, such as improving Incinerate's effects and how it interacts, and making Rain of Arrows pin down mobs. Some of the other skills getting tweaks are Charged Dash, Cold Snap, Double Strike, Ground Slam, Infernal Blow, Lacerate, and Power Siphon. One thing Wilson pointed out is that unlike previous leagues, this one was completed ahead of schedule, giving the team a full month to iterate on it before release. It also offers the opportunity to get a head start on the next league so the team can stay ahead of schedule and have more time to put finishing touches on before launching content.